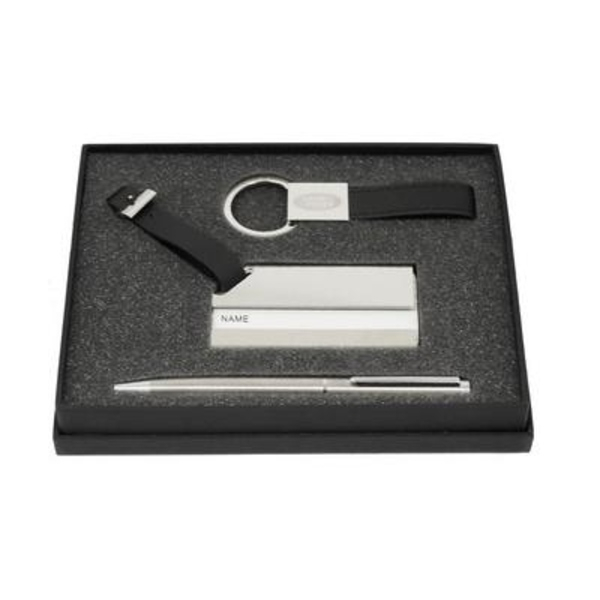 Promotional gift set containing a Dorchester Ballpen, Millbrook Keyring and Deluxe Luggage Tag. Presented in a Black Soft Feel Box. Each item in the set can be engraved with your branding, engraving areas vary per product.